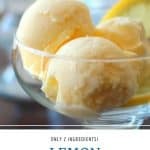 Lemon Frozen Yogurt simply can’t get any easier than this TWO INGREDIENT combination for homemade Lemon Frozen Yogurt recipe. Plan ahead as this lemon ice cream will need to chill overnight before it is churned in your ice cream maker. Lemons are practically calling your name in the grocery store aisle—you’ve noticed, right? Pick some up to make lemon curd (although no one will mind if you buy it in the jar) and whip together this lemon frozen yogurt for dessert. 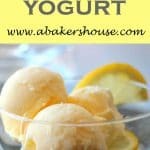 If you are lucky enough to live in a climate where you can grow your own lemon trees, you’ll love making this frozen lemon yogurt with homemade lemon curd. Can’t you just taste that burst of citrus in this frozen dessert? Of course you can make lemon curd any time of year with lemons you buy at the grocery store too. Store bought lemon curd is the quickest option and there is no shame in that! Fold the lemon curd and the yogurt together. Chill overnight. Process with your ice cream maker. Frozen yogurt is a great alternative to ice cream. Start with regular or Greek yogurt for this lush lemon recipe. In fact, Greek yogurt and lemon go quite well together. The tangy yogurt pairs well with the citrus. Are you partial to Greek yogurt? Try it and tell yourself that the extra protein makes this a healthy dessert. Your ice cream maker need not sit on a shelf for the winter. Cold desserts are a perfect ending to a meal any time of the year. Feel free to change the proportions of yogurt and lemon curd. One to one proportions were successful for me. However you explain it, know that this cool lemon dessert is as easy as it gets. Plan ahead and make the yogurt and curd mixture then let it chill overnight. 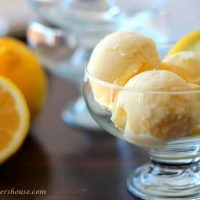 Churn the lemon frozen yogurt the next day in your ice cream maker and dessert is ready a few hours later. Is there a difference between an ice cream maker and a frozen yogurt maker? In a commercial kitchen there may be a difference between an ice cream machine and a frozen yogurt machine but at home, one small kitchen appliance can do the job of making both types of frozen desserts. This frozen yogurt and ice cream maker by Cuisinart has served me well for years! I have two of the double insulated freezer bowls so that I can make two batches or frozen yogurt or ice cream at the same time. In the summer I often keep the freezer bowl in the freezer so that I am ready to make dessert at a moment’s notice. The bowl does take a full 24 hours to freeze so plan ahead. 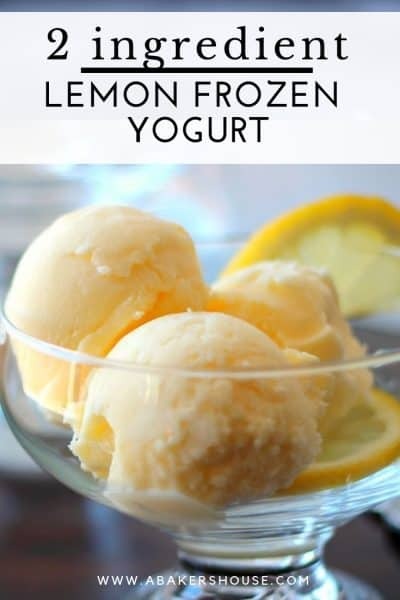 Making ice cream or frozen yogurt simply can’t get any easier than this TWO INGREDIENT combination for Lemon Frozen Yogurt. 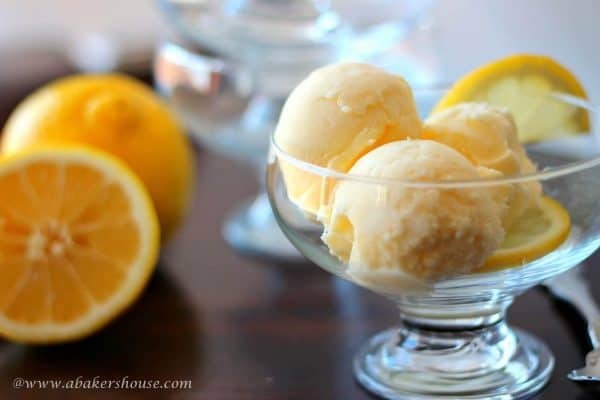 Plan ahead as this lemon frozen yogurt will need to chill overnight before it is churned in your ice cream maker. Fold the lemon curd and yogurt together in a bowl until combined. Chill overnight. The next morning process the mixture in your ice cream maker for 20-25 minutes. Serve right away or chill. I like this yogurt even better after it is frozen for about 4-6 hours. You may use plain yogurt or Greek yogurt, both work well! the photograph is beautiful & the Lemon Yogurt sound heavenly. Thanks, Bobbie, I appreciate your comment! I am always amazed at how simple frozen yoghurt is to make. This looks so refreshing. Gorgeous photo Holly. I agree, Karen, now that I see how easy this is to make I think I’ll whip up some other flavors– strawberry sounds good at the moment plus I have two pints of strawberries in the kitchen. Looking forward to seeing you tomorrow! This is way too simple Holly. As in I’ll have the ingredients together momentarily if I’m lucky enough to have enough yogurt. Pretty pic…you’ve come a LONG way baby! See you tomorrow; let’s hope we just get rain or a sprinkling of snow; I so need some time away from ordinary right now and some fun with the girls! 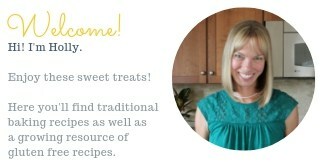 Yes, Barb, WAY too easy– that is why it’s a perfect recipe for me! Thanks for the compliment on the photo…sometimes they work out well for me and other days it looks like my 4 year old took it. It’s a long learning process. See you tomorrow, it will be a great afternoon! Yes, you are right, Vitamin C and a bit of healthy dairy from the yogurt, why this may be the closest I come to making healthy food! Thanks for your comment! Yum! I love frozen yoghurt and this looks so good and so simple! Yes, so simple. I almost felt funny posting a two-ingredient recipe but it is a delightful dessert and had to be shared. Thanks for your comment. YUM! I’ve never used my ice cream maker for frozen yogurt, or in the winter for that matter. How sad is that! Love this easy recipe! Oh I love anything LEMON, how easy is this recipe! Thanks for sharing holly pinning to make later! ohmygosh…I have to make this very soon. Really nice photo Holly.